Freezing Prepared Foods - Can This Be Frozen? 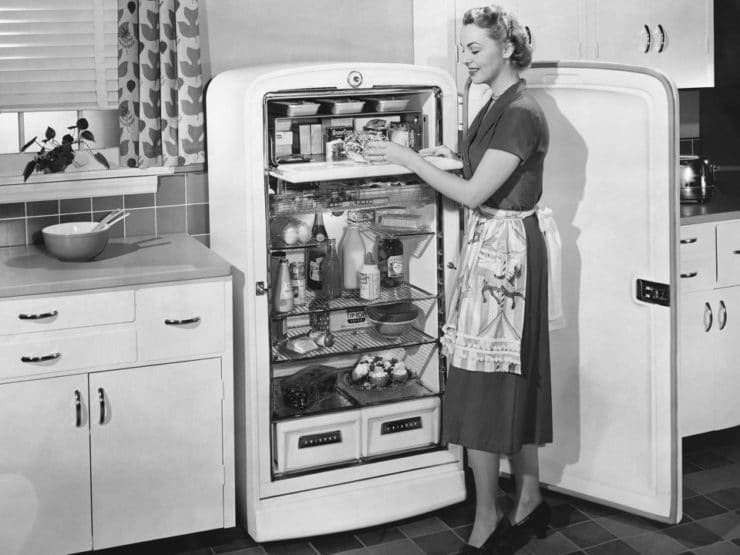 You are here: Home / How To / Freezing Prepared Foods – Can This Be Frozen? I often receive comments and emails from readers wondering if certain recipes can be cooked and frozen ahead of time. This is totally understandable given that many of the Jewish holidays are centered around a large meal; it’s helpful to prep as much in advance as possible. Cooking for a large group can be stressful, and having the option to cook something ahead of time is a great way to lessen the load. A couple of years ago I purchased a big chest freezer, and it has really helped with my kitchen prep work. That said, some foods freeze really well, while others don’t. How can you know if a prepared dish will freeze well? 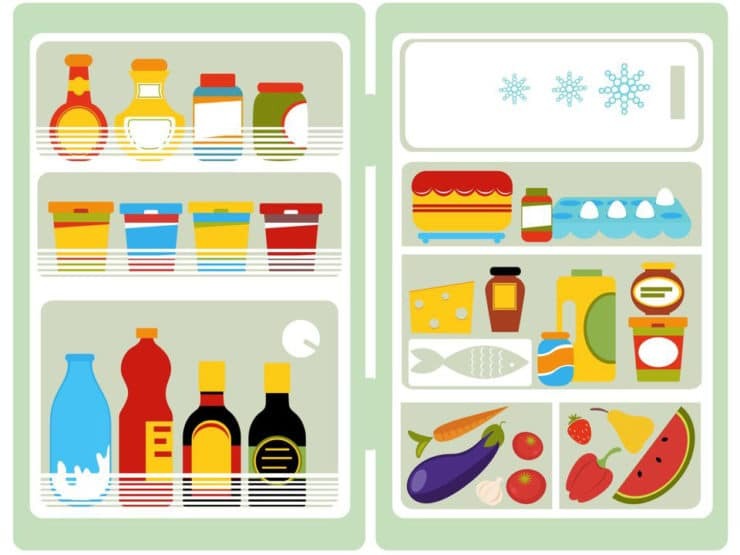 In answer to the most common question, “Can this be frozen?” the answer is usually yes– most foods can be frozen. However, not all foods have the same freezer life, and some dishes will not freeze as beautifully as others. Your goal should be to make preparation easier, while keeping food safe and serving something that tastes great. After much thought and research, I’ve created some guidelines that you can refer to year-round. I hope that you will find them as helpful as I do. Keep a permanent marker handy for labeling and dating your items, so you know how long you can safely keep them. Frozen foods should be kept at 0 degrees F or lower. If you are freezing a large quantity of hot food at the same time, it is best to let the food cool down a bit before freezing or you risk raising the temperature of the freezer and surrounding foods. Never let food cool more than 2 hours or you risk spoilage. If freezing a smaller amount of food (like a casserole or a dinner entree), no need to let the food cool before freezing. There are three appropriate methods when it comes to defrosting frozen food – in the refrigerator, under cold running water, or in the microwave. The best choice is to plan ahead and thaw your frozen foods, while still covered, in the refrigerator overnight or for a couple of days (larger items, like frozen turkeys, will often take longer than a day to defrost in the fridge). If you have less time you can thaw under a steady stream of cold, running water while still covered or in the microwave. Only use the microwave if you plan to cook or serve the food immediately after. Never leave food at room temperature on the countertop to thaw. The problem with this method is that the surface of the frozen food thaws more rapidly than the inside, which can result in bacterial growth. Once the food is thawed, always trust your instincts– if something looks or smells off, better to toss it and start over. Here I’ve mapped out the rules for freezing most major food items. I’ve also included the best ways to freeze, thaw and bring to serving temperature. Soups and Sauces: Soups and sauces are some of the easiest things to freeze. If soups contain matzo balls, dumplings or pasta, freeze those items separately as described below. Soup can be quite hot, especially in large quantities, so before freezing it’s best to let the soup cool slightly so it doesn’t heat up surrounding foods in the freezer (don’t let it cool for more than 1-2 hours or you risk spoilage). There are several ways to freeze soups and sauces in order to maximize freezer space. I usually use a plastic quart container with a lid, and I leave some room at the top for expansion. I’ve heard that some folks pour the soup or sauce into ice cube trays, then transfer the frozen cubes into an airtight, re-sealable plastic bag. Whatever your method of storage, make sure the soup is cooled completely to room temperature before putting it in the freezer. When ready to serve, transfer the frozen soup or sauce to a pot and slowly heat the soup over low to moderate heat, making sure to boil it for a few minutes. If your soup or sauce contains cream, stir often to avoid burning. Potato soups do not freeze well. Pasta, Dumplings and Matzo Balls: Be sure to cook pasta to al dente or slightly underdone to avoid mushiness. For pasta, transfer to an airtight re-sealable bag and freeze. Matzo balls and dumplings are best when frozen on a sheet tray before transferring to an airtight re-sealable bag. If using in soup or sauce, simply transfer the pasta, dumplings or matzo balls to the warm soup and allow them to come to temperature. If using the pasta for something else, like pasta salad, thaw using one of the three sanitary methods described above, whichever best suits your needs. Vegetables: Keep in mind that not all vegetables freeze well. Leafy greens, lettuce and salads are always best when prepared shortly before serving. For most other vegetables, blanch them (cook them until they’re almost, but not quite, done). Par-cooking (blanching), instead of fully cooking, ensures that your veggies won’t become mushy during re-heating. Transfer to an airtight re-sealable bag, leaving room at the top. When ready to use, thaw vegetables and finish cooking using your method of choice. Meat: Yes! Briskets, pot roasts, and most other red meat dishes do freeze quite well. Cook the meat till it’s just a few minutes away from being done, then freeze. Cooking the meat slightly underdone helps to avoid any chance of drying out when reheating. Wrap tightly with plastic and, if possible, use an airtight re-sealable bag or a large airtight container. When ready to serve, thaw the covered meat in the refrigerator. Large cuts of meat like roast and brisket thaw fairly slowly so be mindful of how much time you have. Once thawed, finish cooking the meat to desired doneness using your cooking method of choice. Poultry: Cooked chicken and turkey both freeze well. If you are cooking them whole, you should remove the meat from the carcass before freezing. Never freeze stuffed chicken or turkey due to food safety concerns. Store your chicken or poultry in an airtight container or re-sealable bag and freeze. Thaw using one of the safe sanitary methods described above. Bring to serving temperature using your method of choice, being careful not to overcook, which can lead to dry meat. Battered chicken and chicken with a coating won’t always freeze well, depending on the recipe. Fish: I do not recommend freezing cooked fish. Fish is one of those foods that will always taste best when served immediately after cooking, and luckily it cooks up rather quickly. When it comes to gefilte fish balls, my friend Norene Gilletz recommends simmering the thawed balls in water for about 15 minutes. They will taste like they were just made. Casseroles and Kugels: Dishes like casseroles and kugels freeze really well. I usually cook a casserole or kugel till it’s about 85% done, then freeze. After freezing, I bake the casserole or kugel till it’s completely cooked and browned. Most kugels and casseroles can be reheated straight from frozen at 325-250 degrees F. If you’re concerned with freezing a casserole pan that you may need for another dish, simply line your casserole pan with foil before assembling and freezing. Once the casserole or kugel is frozen, remove from the pan, wrap and seal. Now your pan is free for the next dish! Breads: All bread, including challah, freezes well, whether freshly baked or store bought. Seal in an airtight re-sealable bag and freeze. Thaw bread in the refrigerator. If you would like to reheat the bread (for that fresh baked flavor), you have two choices. You can thaw in the refrigerator and then bake for about 10 minutes at 350 degrees to reheat. Or, if you’re pressed for time, you can skip thawing altogether and reheat in a 300 degree oven for about 20 minutes, or until thawed and warmed through. Pastries, desserts: Cakes can be frozen in airtight resealable bags, then thawed overnight in the refrigerator. I would not recommend freezing a frosted cake, so be sure to give yourself enough to time to frost your cake once it has thawed. Pies are best when assembled ahead of time, then frozen. When you’re ready to serve, there’s no need to thaw, just put the frozen pie in the oven and reheat at 350 degrees F. For desserts with a high moisture content, like my Honey Apple Cake or Peach and Blueberry Crisp, I would suggest popping them into the oven for about 10 minutes after thawing to eliminate sogginess. For cookies, freeze in airtight re-sealable bags. I like to bring them back to temp in the oven for a quick few minutes to give them a freshly baked taste. And if your sweet tooth is really aching, go ahead and try one while it’s still frozen. I won’t tell. Some foods are just not meant to be frozen, including leafy greens, lettuce, salad, cabbage, radishes, cucumbers, celery, onions, peppers, garlic, eggs, fried or battered food, rice, meringue based frostings, mayonnaise. When serving these foods, fresh is always best. Like I mentioned before, most foods can be frozen. If you’re wondering about a dish that is not included in this list, ask yourself a simple question: Is this dish hearty enough to withstand freezing? Delicate foods will not often stand up to the dramatic shifts in temperature. If you’re wondering about a particular food that does not appear on this list, comment and I’ll do my best to answer! Hello, I want to freeze a large quantity of batter dipped cauliflower for a use as needed basis. I know the floweretts will need to be frozen individually prior to vacuum packing. However should the cauliflower be blanched prior to battering and freezing? If so how long is the blanch. I don’t want them to turn to mush when deep fried. Or perhaps there is a better method. Can red rice and sausage be frozen? It has onions in it. It will be fully cooked. Can I freeze a cooked pasta dish w/ shrimp,asparagus & mushrooms . Can it be frozen? Although this article was very informative, I’m still unsure because of the nature of my “crossover” item: can a spaghetti squash kugel be frozen, or would it be too delicate? I’m learning to meal prep and freeze individual servings. (Cooked) Which cooked vegetables freeze best? I tried green beans once and they were a mushy mess when thawed and reheated in microwave. Help! I am making a mushroom and nut loaf – it contains brown rice, soya milk and eggs. Can this be frozen? Can a pineapple bake of bread, eggs, butter, sugar be frozen after it is cooked? Thank you. I made a lovely romanesco in a curry sauce recipe. Delicious! Lots of it. Will it freeze well? Hi Carol, Tori’s assistant Ashley here. Yes, these can be frozen for use in soup and stews. They will most likely lose a good amount of their texture after freezing so I wouldn’t use them in much else. I am wondering about unbaked squared that contain honey. I want to try a few different recipes for the holidays. Hi Suzanne, Tori’s assistant Ashley here. I’m not sure what you mean by unbaked squared, but most recipes containing honey would be okay to freeze.